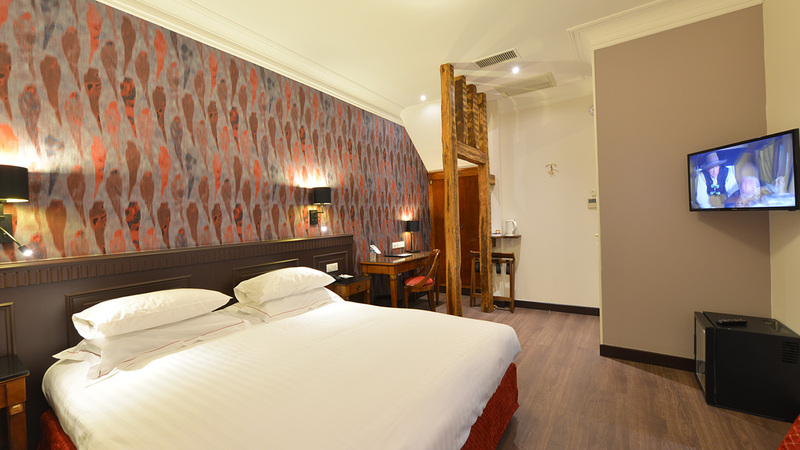 The hotel rooms offer all the necessary comfort in a cosy and warm atmosphere. 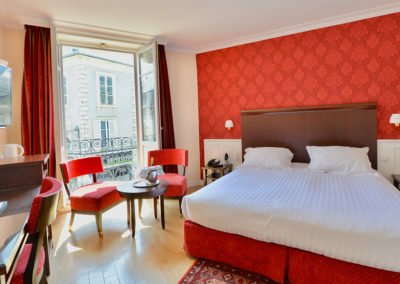 Free WIFI, reception products, reception tray, mini-bar, hairdryer, flat screen TV, iron and ironing board available on request… all amenities are at your disposal and if you miss anything, the reception is at your service 24/24h. 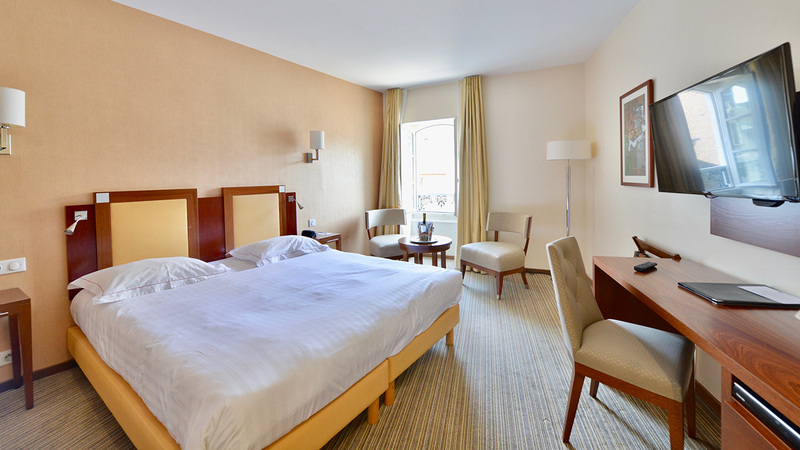 By booking on our official website, take advantage of the best guaranteed rate. 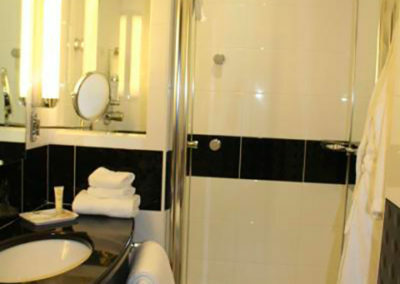 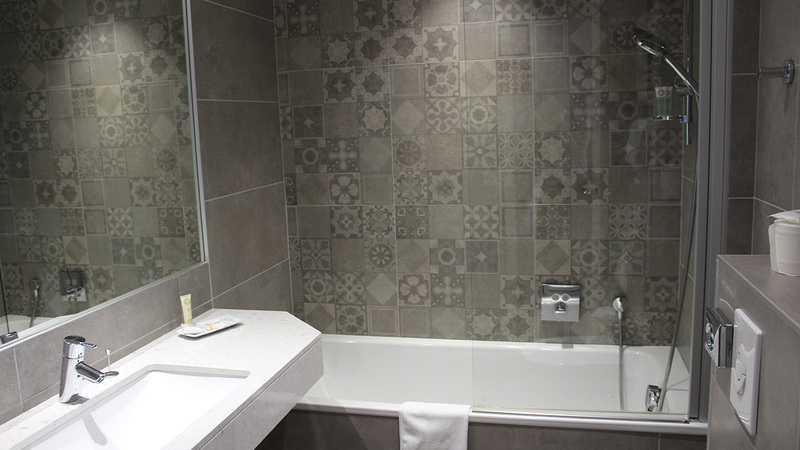 Quiet and welcoming, the classic rooms are equipped with modern and spacious bathrooms. 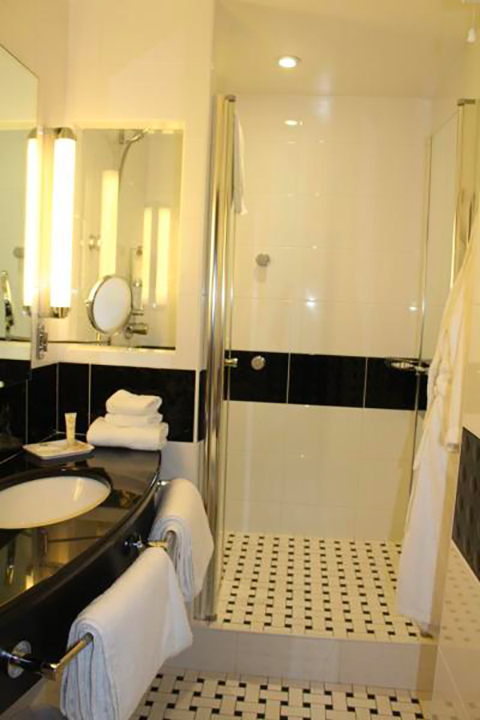 They have all the amenities necessary for the visitor's well-being. 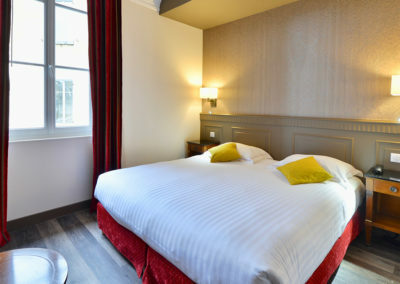 Pleasant and cosy, with more generous dimensions, the rooms comfort are equipped with beds of great width and modern and spacious bathrooms, they seduce by their calm. 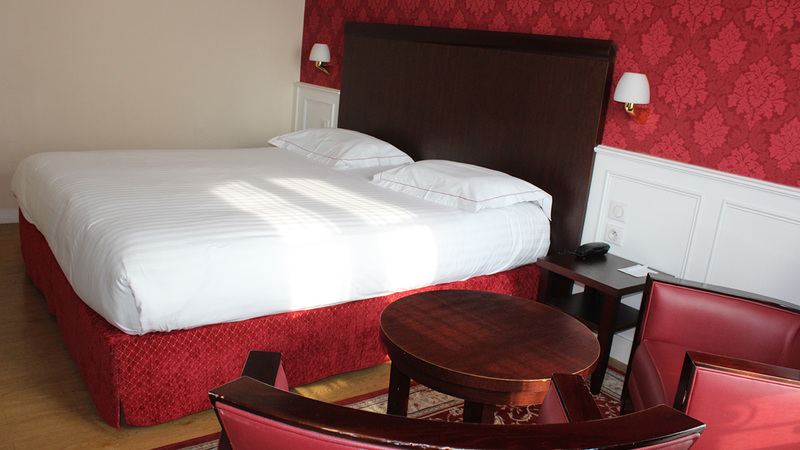 The high quality bedding offers remarkable comfort. 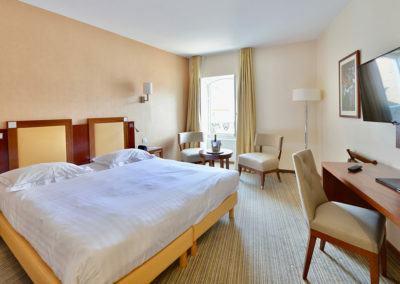 More spacious, the superior rooms offer all the comfort of an exceptional room. 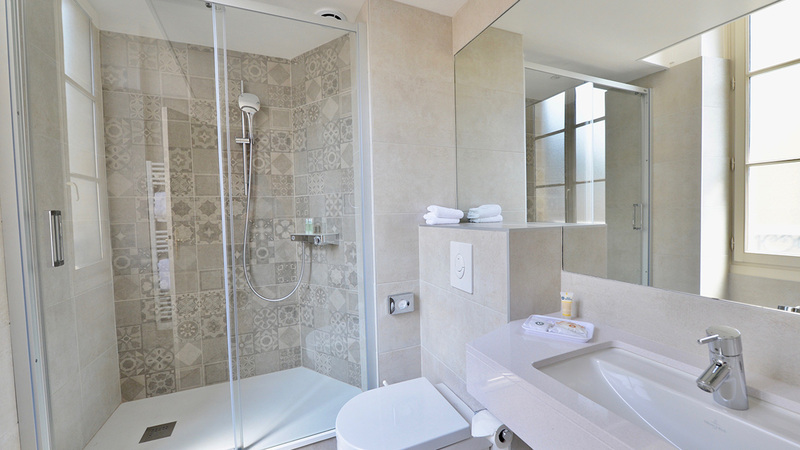 Friendly spaces with a lounge area as well as modern bathrooms make these clean and elegant rooms exceptional places. 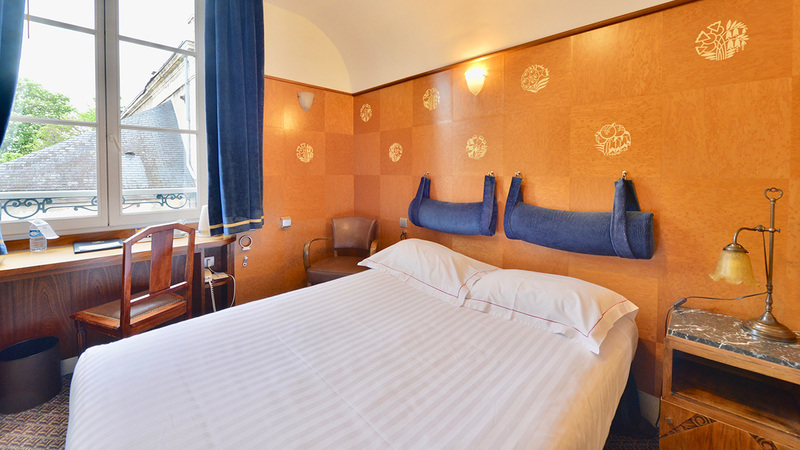 Very spacious, the junior suites offer a lounge area as well as very large beds. 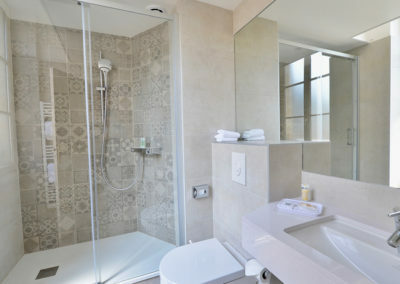 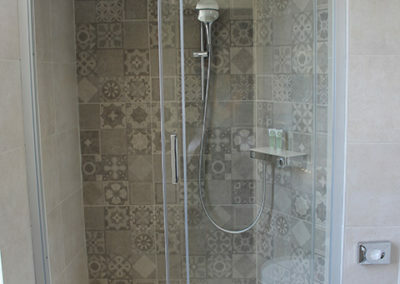 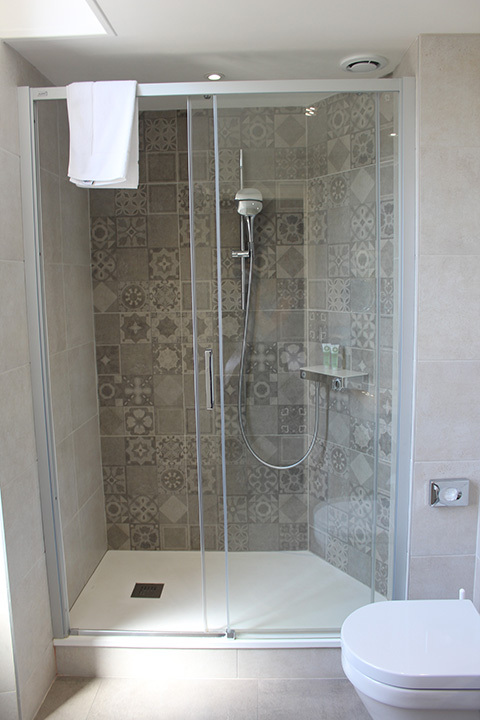 They are equipped with bathrooms with a thousand and one surprises in particular thanks to their connected baths. 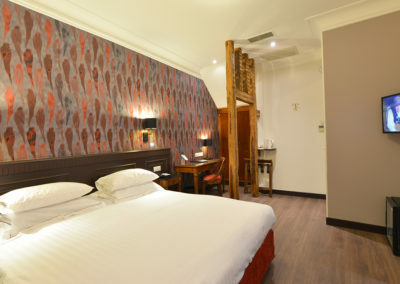 Largest room in the establishment, it offers a unique atmosphere since it has two distinct spaces: the night area and the lounge area. 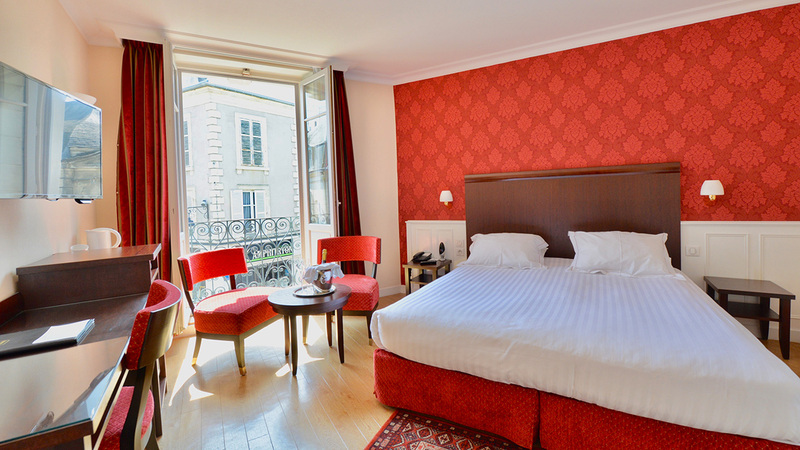 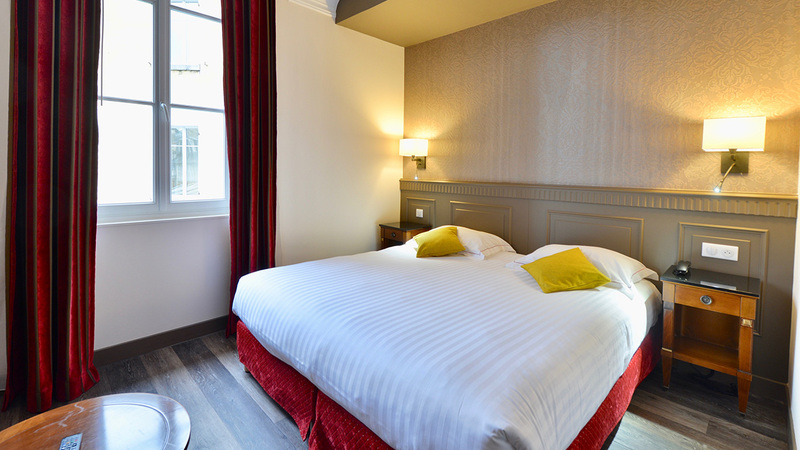 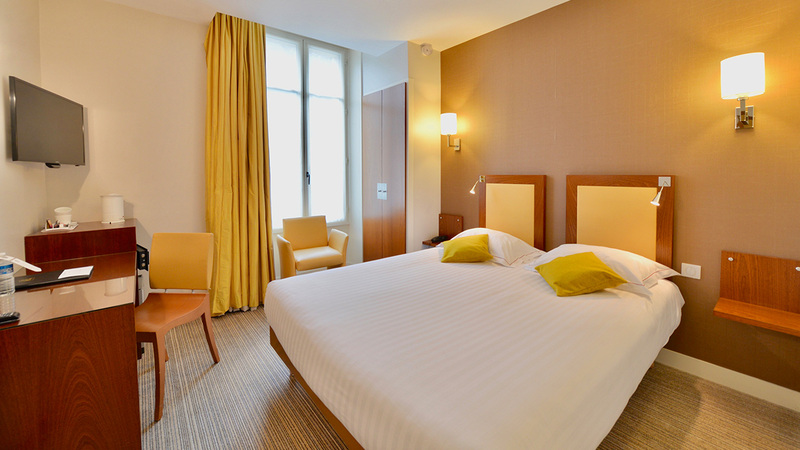 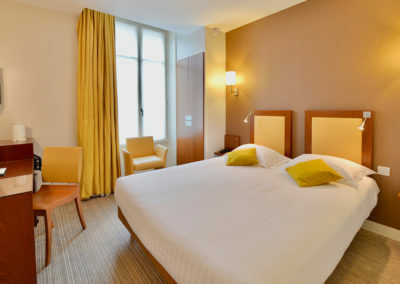 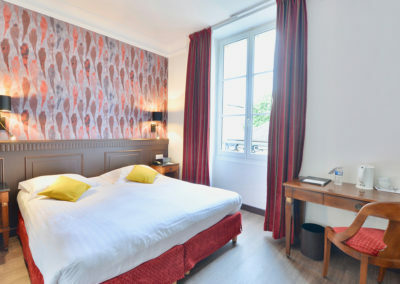 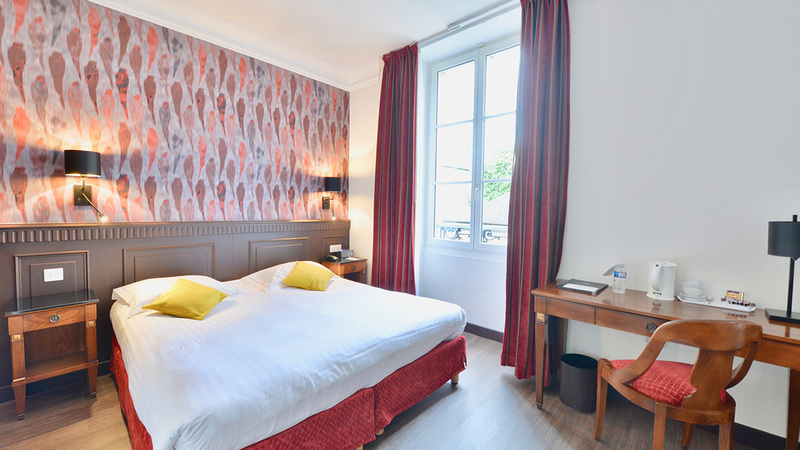 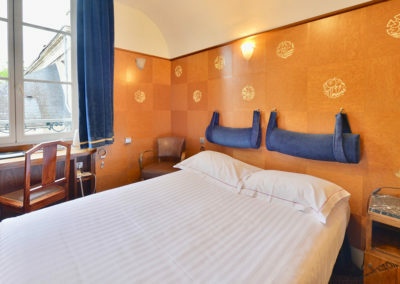 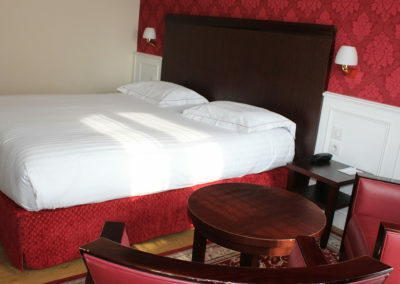 It is the ideal room if you stay with your family in the town of Bourges.